As part of our ongoing series of, Where in the World is Riley? 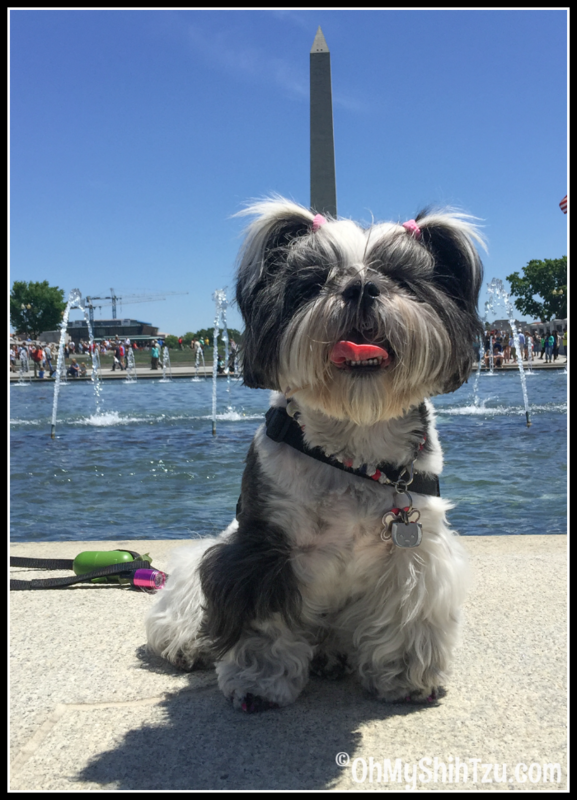 Riley visits Washington DC! I want to start of with that not all the sites we visited in DC are dog friendly. Even though I like to highlight and try to go to places that are dog friendly, there are times we can not, and only service dogs are allowed. If you would like to know a little bit more about what Riley does, please read Not Every Disability is Visable. During our trip to DC I found the safest mode of transportation for Riley was in her stroller. In a city like DC, where everyone is looking up all the time, a dog that only is 13 inches high at her shoulders can easily get stepped on. 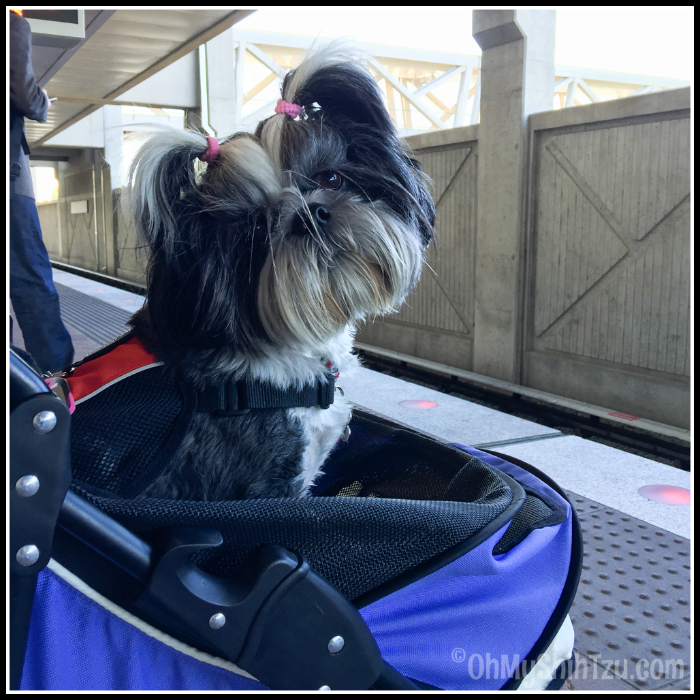 So every morning she would hop into her stroller and we would head over to the metro for a quick ride into the city! To save a little money we stayed in Reston, VA at the Sheraton which was close to the Metro, but also had a shuttle that would drop us off and pick us up! But our days were full of adventure! 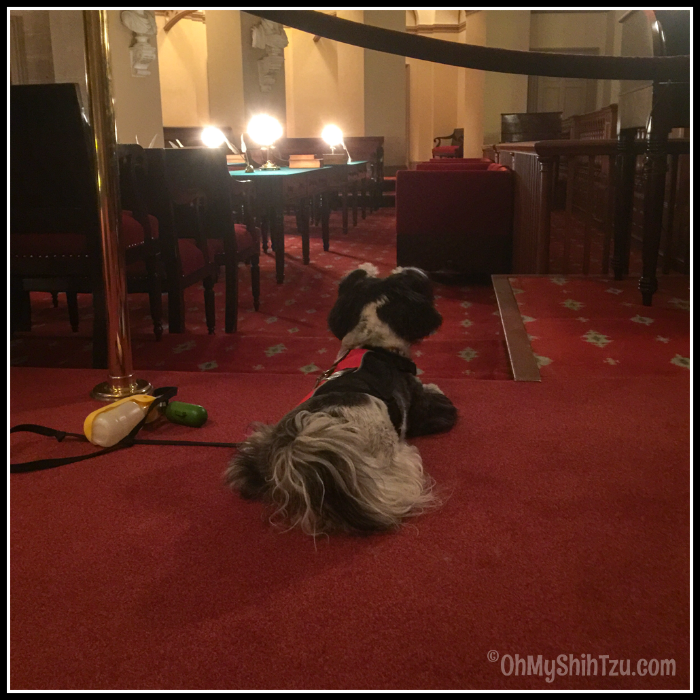 While on a tour of the Capital, Riley sneaks a peak into the old Supreme Court Justice Chamber. She was such a good girl and stayed behind the rope line! 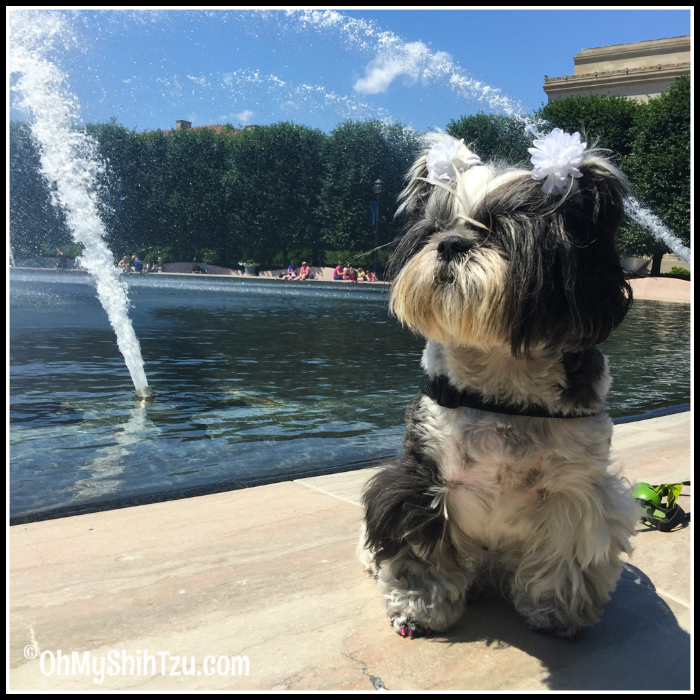 Riley had a great time visiting the Mall, one of the highlights was the World War II Memorial. As always Riley and I were respectful of monuments following all rules as posted. 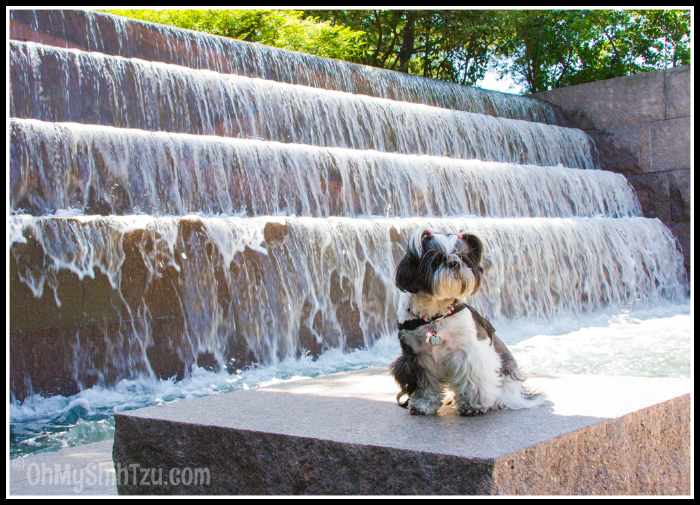 Riley visits the National Gallery of Art Sculpture Garden. The garden features a huge pool and fountains, which Riley just loved! With a cool breeze blowing, this was the perfect location to take a break in between visiting the Smithsonian Museums. 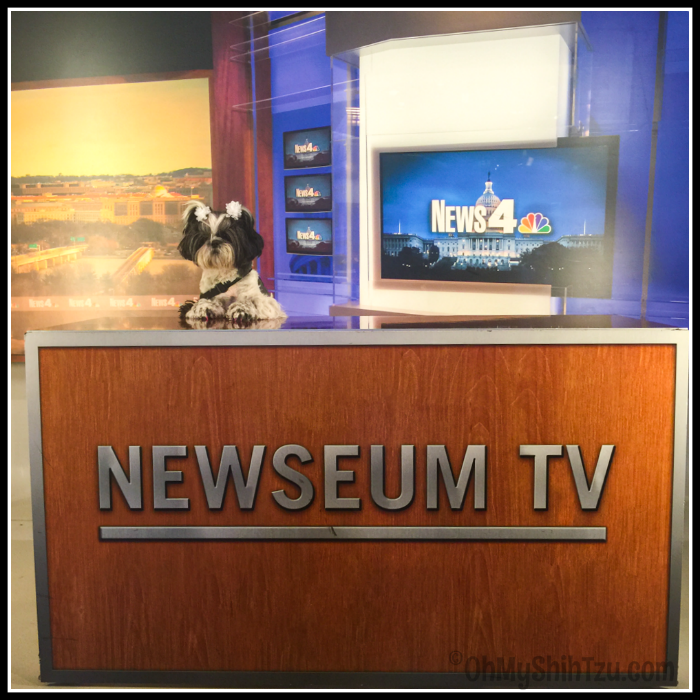 With a trip to the Newseum, Riley was ready for her on air debut of becoming the littlest and furriest news anchor of the day! 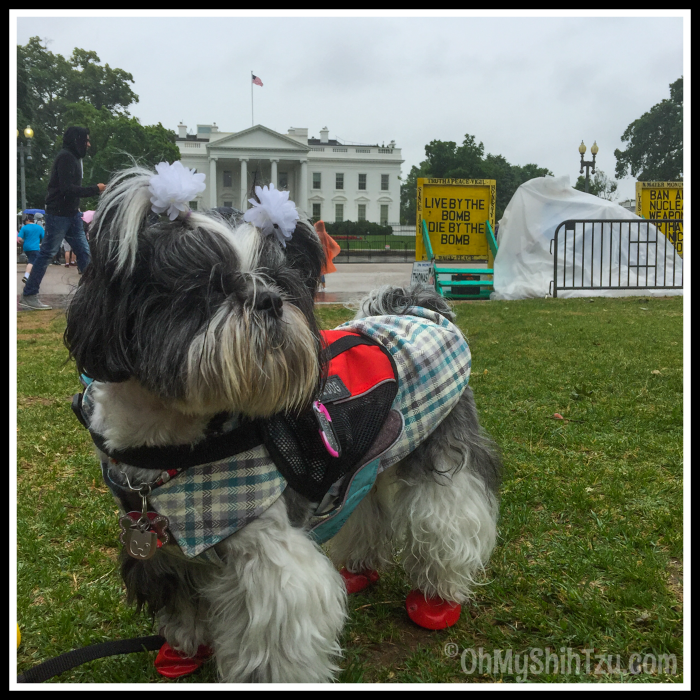 Riley Shih Tzu is all decked out in her rain gear after a visit to the White House. She was sad she did not get to meet Sunny and Bo. Tour of the White House & Capital. This is definitely a must, but it does require some planning. Contact your Congressmans office or even your Senators office to schedule. You can find a link on their webpages to set this up. Even though we took our tours in May, I requested the tour of the White House in January! Service animals only allowed on these two tours. Newseum & Smithsonian Visits! I was not that interested in going to the Newseum, but my friend Tracy from Pawsome Cats wanted to go. Let me tell you this had to be one of the best museums in all of DC. 6 stories of pure coolness, including the Berlin Wall, the World Trade Center Spire, the Una-bomber cabin plus so much more! We also had a great time visiting a few of the Smithsonian museums also! So have you visited DC lately? If so what is your favorite thing about DC? If you haven’t been what would be the first thing on your list to see? 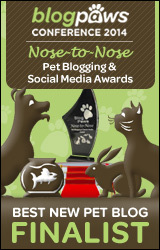 Today we are joining the Thursday Barks and Bytes Blog Hop hosted by Heart Like A Dog and 2 Brown Dawgs. I went to DC with my parents, but I was far too young to really appreciate it. The only thing I really remember was A LOT of walking 🙂 I’m glad you and Riley had a nice time! Chelsea Price recently posted…When is it Okay to Give Up Your Pet? It has been a few years since my last visit. My first visit was with school in 8th grade, at that time we visited the Washington and Lincoln monuments, saw the white house and went to the Smithsonian. The last time I went, Hubby and I went to the Aeronautics portion of the Smithsonian and also the Spy Museum, they were both pretty cool. It sounds like you had a wonderful time, thanks for sharing it on the hop. It sounds like a wonderful trip. I have not been for many years, but I loved it the one time I was there. I was dragged to some of the museums and really enjoyed what we saw, We also went to the most beautiful garden I have ever been to. I wish I could remember the name. Thanks so much for sharing your trip on the hop! I haven’t been to DC in more than 10 years, but when I was in New York recently, I wondered how all the doggies get around, if they can’t go on the subway. Also… my mom’s press passes are on display at the Newseum. Glad you got to go there.